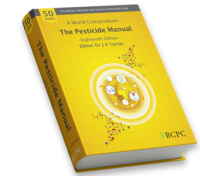 Pesticide Manual Online - BCPC British Crop Production Council : BCPC British Crop Production Council . The most comprehensive, up to date version yet. 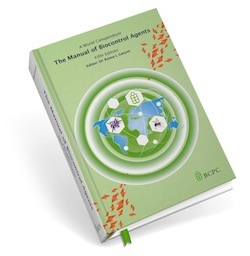 All the information contained in The Pesticide Manual, eighteenth edition PLUS more!! 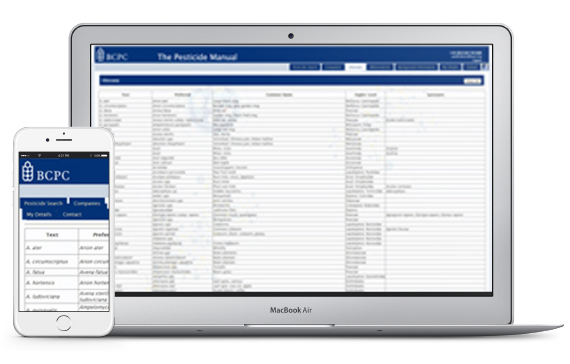 The online version of this unique information source offers a sophisticated search engine and includes a much larger data set of product names that can be contained in a printed publication. Over 10,400 product names, 3,100 discontinued names and 710 supplementary entries. It also includes Smiles strings which can be converted to chemical structures using standard structure handling software. Recommendations of the Resistance Action Committees are regularly updated, along with toxicological reviews from JMPR and the EU. g. can search for Complex III, MET III, nAChR, ALS, acetolactate synthase inhibition, etc.